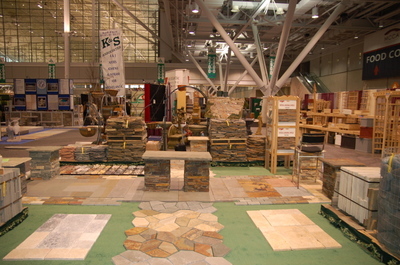 Industry trade shows are only interesting if you are interested in the industry. 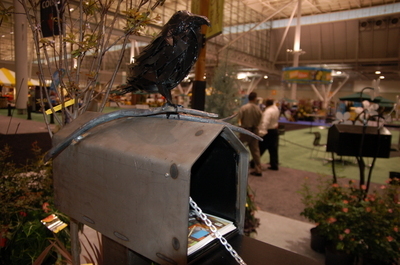 Since most of you are garden lovers, I thought I would show you the excitement and glamor of the New England Grows Lawn and Garden trade show. I don't have millions of pictures but I do have a few. Most of you may know that I sell product to the independent garden centers in my area, Eastern Massachusetts and Rhode Island. Or, I try to! These are some of the products I sell. 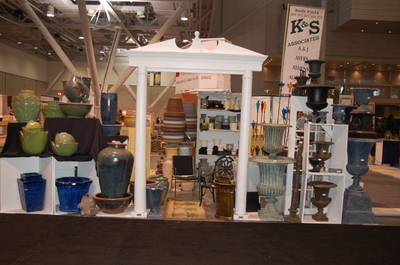 The above picture is of the pottery booth. Lots of beautiful containers and yes, I have quite a few in my yard most of which are chipped or broken or otherwise had to be credited and replaced. I don't usually take crooked pictures but this one seems to be! Another line I sell is stone. If you can buy a truckload, 16 pallets, you can buy from this company. It is mostly natural stone. 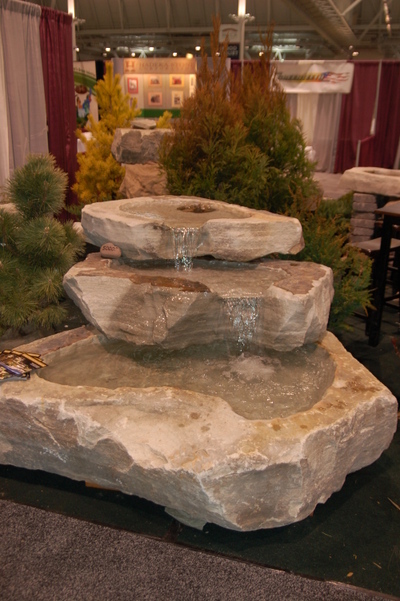 I like natural stone. 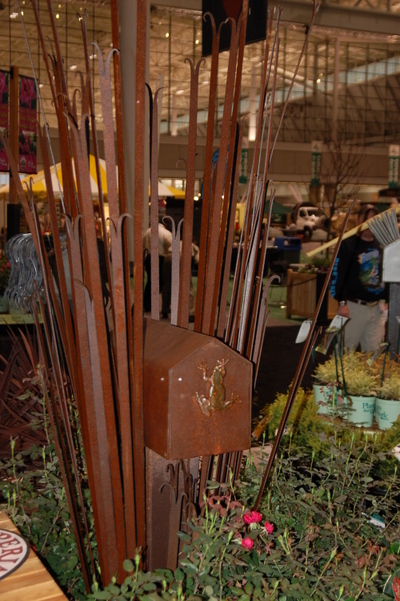 In between the stone and the pottery, there were four other booths containing grower mixes, mulches, hanging baskets and statuary. The statuary is from Athens, Georgia and is priced to sell. 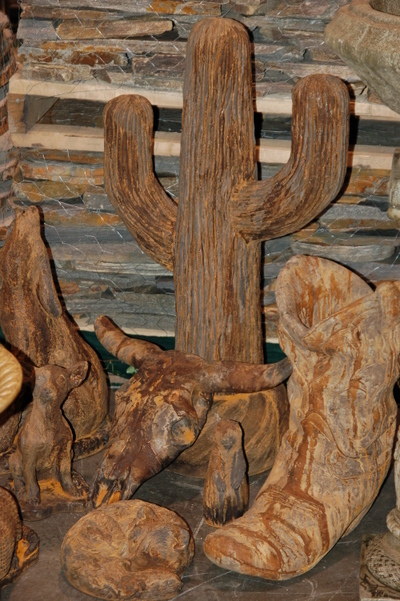 Here are some of the southwestern pieces for my Texas friends! 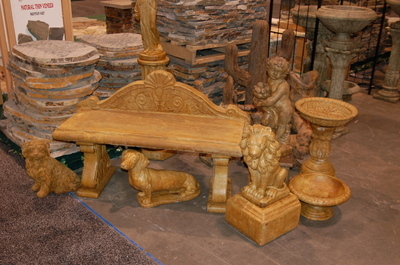 I don't have a picture of the other booths but I did take some of some interesting items which I saw at the show. 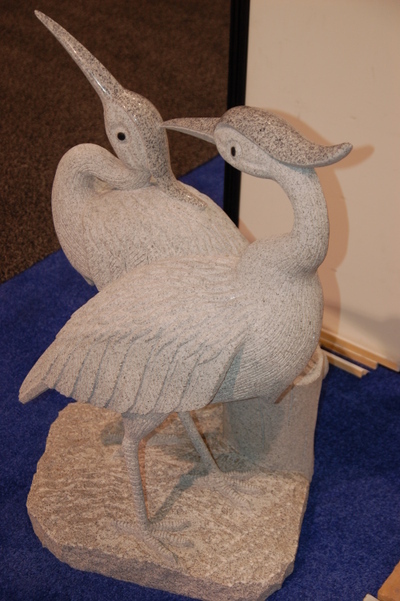 This is a picture of two cranes carved out of granite. They will not blow over! 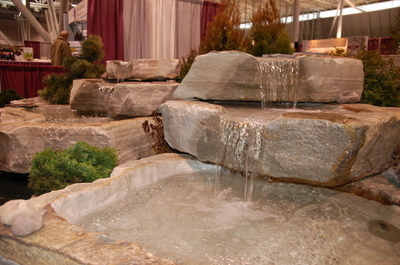 I also loved these large rocks carved for a water feature. They are gorgeous! Pricey but gorgeous! This is another view. 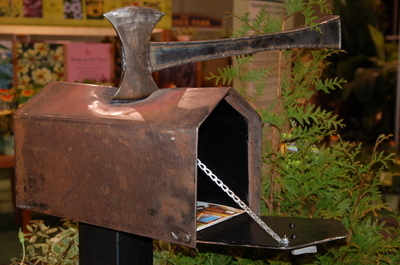 In addition, I did see these interesting mailboxes. This one is a 'quoth the raven, nevermore'! Each one of a kind. This one I call 'Mailbox dreadlocks' and this one is tall reeds which were about eight feet tall. 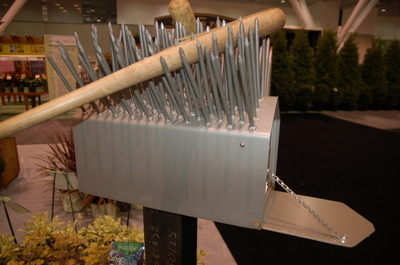 The next one is a humorous poke at all those mailbox disasters. This last one is how the Red Sox fans feel when their team loses! Fortunately they were winners this past season! Red Sox fans are ...intensely loyal. Begonias are big this year. 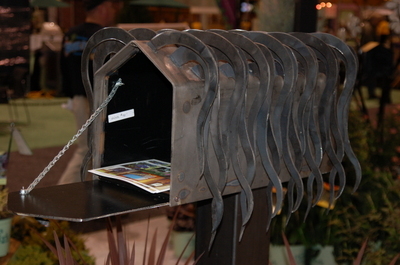 How about this one for a shady container? 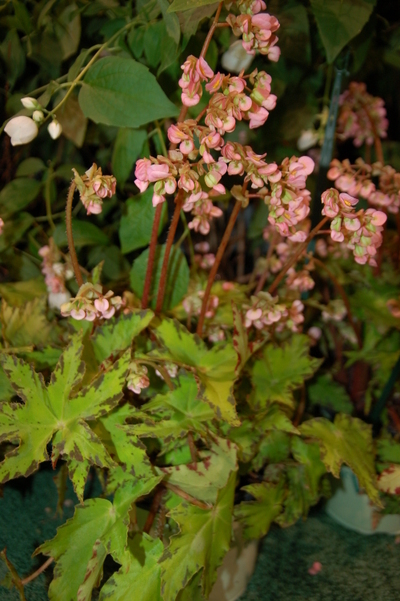 It is a River Nile begonia and both leaves and flowers are interesting. 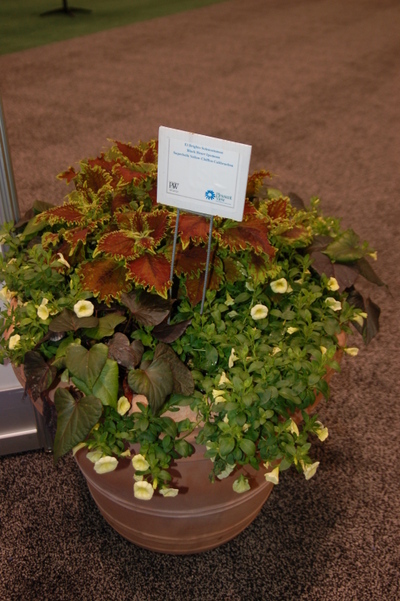 Here is one last shot of a container prepared for the show. I rather like it's simplicity. What do you think? I hope I haven't bored you all with this glimpse of the glamorous trade show circuit. Work is work after all.